The KBCCIP involves the redevelopment of the urban core of Kings Beach with curb and gutter, sidewalks, street furniture and stormwater quality improvements. In the conversion of the highway to three lanes, street parking must be moved from the side of the highway to separated parking lots. AEC planned, designed and permitted four separate public parking lots, approximately 20-30 spaces each. This task includes CEQA processing for three of the lots. 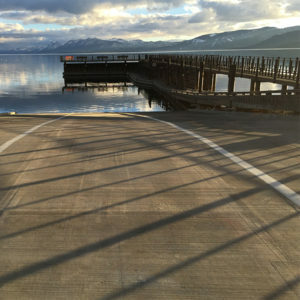 The Lake Forest Public Boat Launch is operated by the Tahoe City Public Utility District. The project was to replace the existing ramp and restore it to its original elevations. Sediment accumulation and deterioration have resulted in structural failure of the ramp. AEC was the prime consultant providing overall coordination for the rehabilitation project. Services included design and regulatory permitting for the replacement and widening of the boat ramp in accordance with the California Department of Boating and Waterways’ design standards, and dredging of lake access to the previous dredged elevation of 6219’ to enable boat operation at lower lake levels. 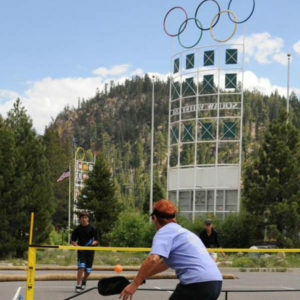 Pickleball courts in the Squaw Valley Park used to consist of two courts established by local residents utilizing an overflow parking area. The past five years have seen an explosion in the popularity of the sport. 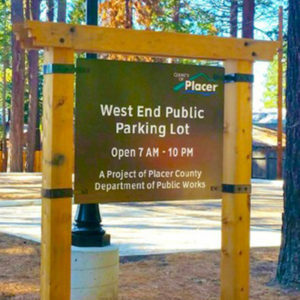 AEC was retained by Placer County Parks Division to design new pickleball courts for an expanded facility. An analysis matrix was completed that ranked various features of three alternative sites and configurations. AEC designed three new courts that were constructed in 2016 at Squaw Valley Park. 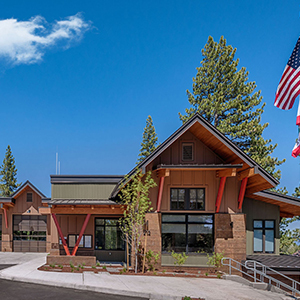 Relocation of the downtown Tahoe City Fire Station to a 20,000 square foot public safety center. The largest challenge of this project was in siting the development to avoid the stream environment zone and wetlands that surround it. Also important, is the development of a stormwater management plan that is acceptable to the TRPA and Lahontan, which provides treatment of runoff at reasonable cost. 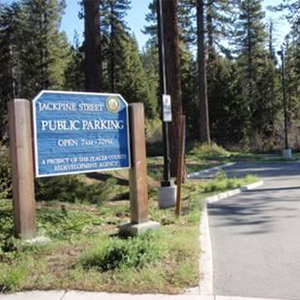 The Jackpine Public Parking Facility, located in downtown Tahoe City provides parking for approximately 40 vehicles. AEC began this project with the Redevelopment Agency providing topographic and ALTA surveys of the site for acquisition purposes. Initial steps were then taken by AEC to evaluate the development potential of the site, including processing of site assessment applications with TRPA, and based on the results, preparation and processing of Land Capability Challenge applications with TRPA to re-delineate the Stream Environment Zone on the property. In parallel with the above work, AEC prepared an evaluation of parking options, including a summary of regulatory and engineering opportunities and constraints for each option. The United States Forest Service (USFS) contracted with AEC to provide design services for this reconstruction and retrofit project. 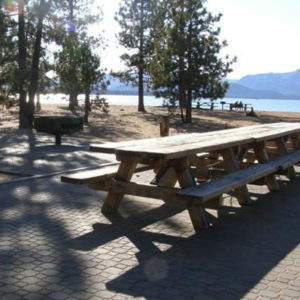 The project included redesigning the day use area to maximize efficiency of the paved surfaces for parking, to increase the number of parking stalls to 160, and to provide BMP’s for the site located in sandy soils very close to shoreline of Lake Tahoe. The site consists of three individual, interconnected parking lots, each of which was graded to allow the stormwater runoff to sheet flow to a large central landscape island.